As we mentioned before python programming language that it is a kind of high-level programming language that is also interpreted, object-oriented, and interactive. Unlike many other programming languages that often punctuations, Python uses many English language keywords. Python further stands apart in terms of its syntactical construction as it has a lesser amount of syntactical construction than many other programming languages. There are a few keywords that we mentioned above regarding the Python programming language and we’ll be discussing those keywords in depth now. This keyword basically means that Python as a programming language is processed by the interpreter at the specific runtime. This implies that you can execute this language before even compiling your entire program. This particular feature makes this language similar to PHP and PERL. You would get to know about many other features of this language in this Python introduction tutorial. One of the best features of Python is that it allows you to write your program by interacting with the interpreter directly while you are still sitting at a Python prompt. Python as a programming language supports a more object-oriented technique or style of programming. Python is a really good programming language for any software developer who might still be at the beginning stage. One of the best things about this language is that it allows you or provides you with a sort of a framework that would support you while you might be learning various applications like www browsers, simple text processing, or even games. There are many other uses of this language that you will get to know in this Python introduction tutorial. The incredibly talented Guido Van Rossum developed Python during the late eighties till the early nineties. Guido Van Rossum developed Python at the National Research Institute for Mathematics and Computer Science. This research institute is situated in the Netherlands. Guido Van Rossum while developing this language actually took some inspiration from many other languages. He also further derived from a number of languages. Some of the languages from which he took inspiration or derived from are ABC, C++, C, SmallTalk, Modula-3, Unix shell, and many other scripting or programming languages. You as a user of Python should also be aware of the fact that this programming language has a copyright. The source code of Python is available under the GNU General Public License (GNP) just like it is available for Perl. You should also be aware of the fact that Python is maintained by a group of core development team members present at the institute. You will acquire more information as you move forward in this Python introduction tutorial. However, this does not mean that Guido Van Rossum is out of the picture as he still plays a vital role in the whole maintaining process. There are various features and information about Python language that can come quite in handy to all its users. And some of those features of Python are mentioned below. These are all the major features of Python. 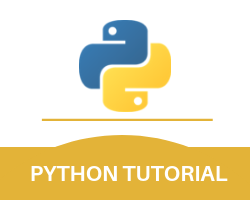 However, you will gradually become aware of many other features of Python as you become more comfortable in using the whole platform and you move forward in this Python introduction tutorial.